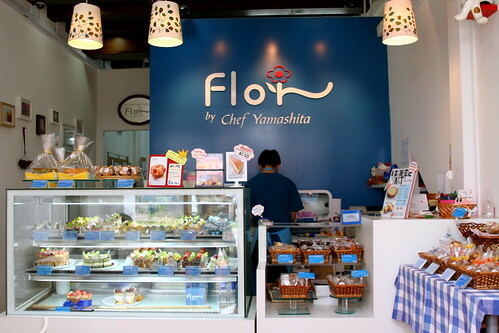 Flor Pâtisserie is set up by Chef Yamashita that was previously from the popular Patisserie Glace. The little cosy place is located in a shophouse along Duxton Hill. They have few small tables indoor & outdoor that is not able to serve a crowd. 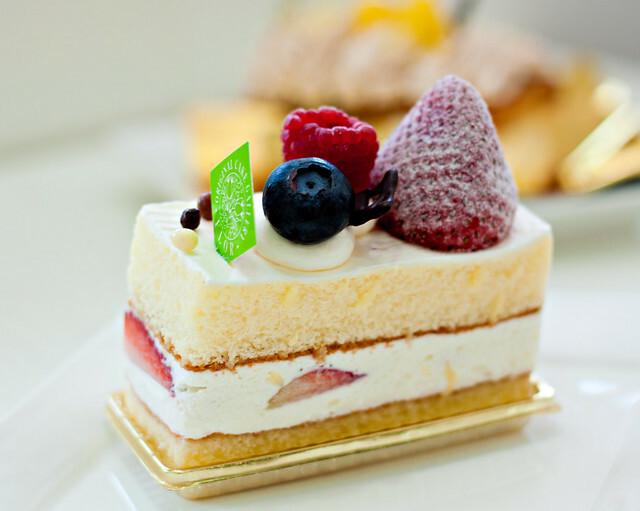 Their Japanese-Styled Patisserie are entirely made of natural and fresh ingredients. They emphasis on using only the freshest and best quality ingredients without any preservatives/raising agents/stabilisers in their patries. ‘Flor’ is a Portuguese word for flower, and is pronounced in Japanese as ‘fu-ro-ru’. Widely recognised and accepted as a symbolic representation of love, passion, and beauty, the flower embodies the delicate balance of nature and beauty. All their cakes look very pretty and are mostly filled with tropical delights. Delicate strands of French chestnut cream piped over a sandwich of crisp, flaky puff pastry and pastry cream, topped with sweetened Japanese chestnuts. 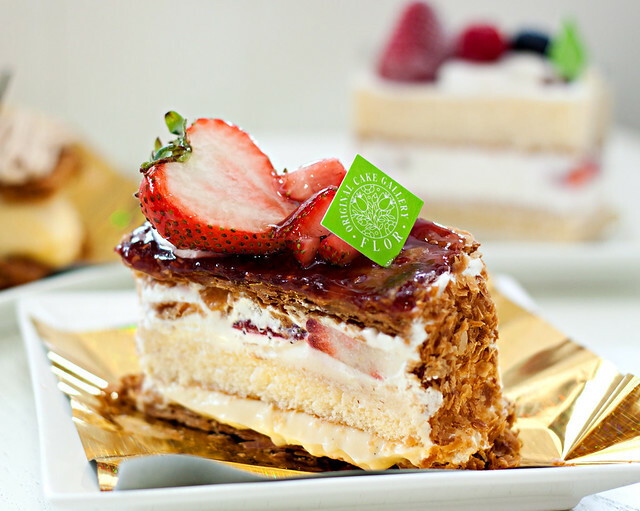 Traditional Napoleon, made with Chef's signature puff pastry, the strawberry version. Using traditional French method of aeration which does not use any chemical leavening, Chef Yamashita creates his signature strawberry shortcake, which consists of naturally soft sponge filled with fresh strawberries and luscious cream, topped with summer berries. 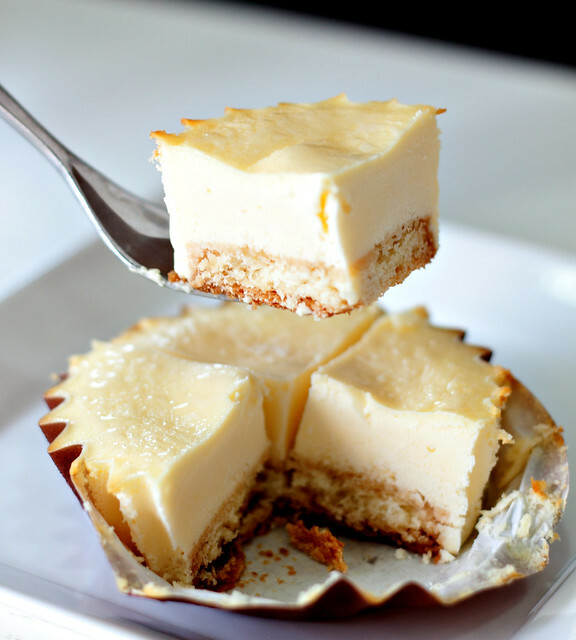 In a tartlette of an almond cookie and FLOR's signature creamcheese filling, there is a flurry of tastes and textures; featured most prominently is the melt-in-your-mouth lightly salted creamcheese filling, followed by the incredibly fragrant crunch of the almond cookie. Lucky you if you like this cheese tart as it can be kept in the freezer for up to 3weeks! The sponge cakes are soft & moist and I believe they use the same sponge cake as the base for all their cakes because they taste alike to me. Don't be deceive by the thick white cream. You won't get sick of it even you have to finish the whole slice of cake by yourself. I suppose they are made of egg white and sugar instead of whipping cream therefore it's so light. 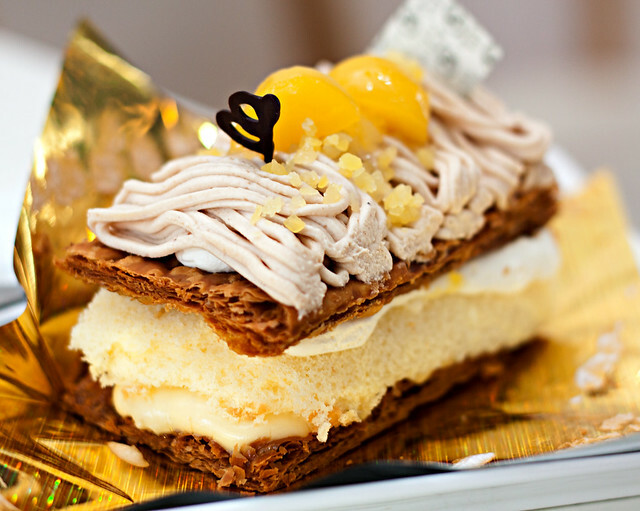 However the French chestnut cream from Waguri Millefeuille are too sweet after a few mouth, but the overall is still good, infinitely better tasting than those overly sweet, crusty, gritty frosting made with shortening and powdered sugar. I will definitely be back to try other mouth-watering cake! The Soup Spoon - Simply Souperb!